Is YOUR favourite on Britain’s happiest food list? We’re a nation full of food lovers. From classics like spaghetti Bolognese to naughty weekend treats like pizza, us Brits LOVE our food – it makes us seriously happy, don’t you agree? A recent study by Bupa suggests that there is in fact a link between food and happiness – which we, of course, already knew! Not only do certain foods make us happier than others, they also have memories attached with them too – like that mouth-watering paella your whole family tucked into on your first trip to Spain, or what about that warming apple crumble your grandma used to make you when you were a little one? At number 10 is the Italian classic, spaghetti Bolognese. We can definitely see why this traditional dish has made it into the top 10. Not only is it super easy to make at home, it’s a massive winner with the kids as they’ll eat it – without any complaint! Now there’s a reason to be happy, maybe even ecstatic! 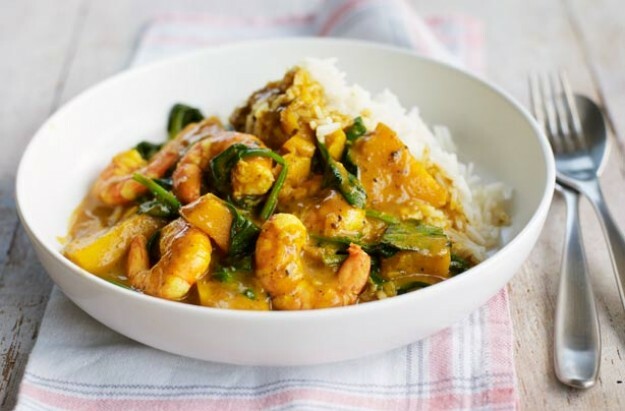 Whether homemade or a cheeky takeaway on a Saturday night, curry has been voted one of our happiest foods. It warms us through, comes in a whole host of varieties from korma to masala, and is served with plenty of sides – which we have no reason to feel guilty about eating. After all, what’s a curry without some rice, naan bread, onion bhaji, samosa… The list goes on! Ah, steak and chips – the ultimate man food. This meat feast is voted at number 8 in making us happy, happy, happy! It doesn’t matter if you’re a medium rare or a well-done kind of person, steak just makes us jump for joy along with a plate of crispy golden chips of course. Bring it on. At number 7 is the glorious Italian (do we detect a theme?) pizza. 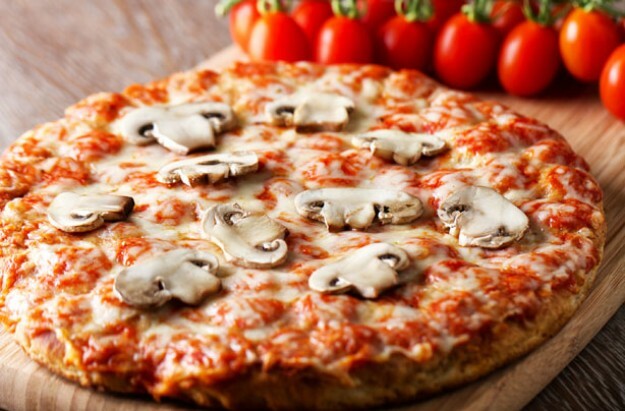 Topped with whatever you have in the cupboard or fridge, you just can’t go wrong with a family-sized pizza. This food is for sharing so it’s no wonder it makes us feel all warm and fuzzy eating it when surrounded by our friends and family. Just like grandma used to make! Apple crumble is comfort food at its finest. Whether it’s drizzled in cream or smothered in custard, apple crumble is a real winner in our eyes (we even thought it was worthy of the number one slot?!) and had 31% of the happiest food vote. A big slice of apple crumble with plenty more crumble than filling – what more can we say? The sun’s out, quick. Wheel out the BBQ! 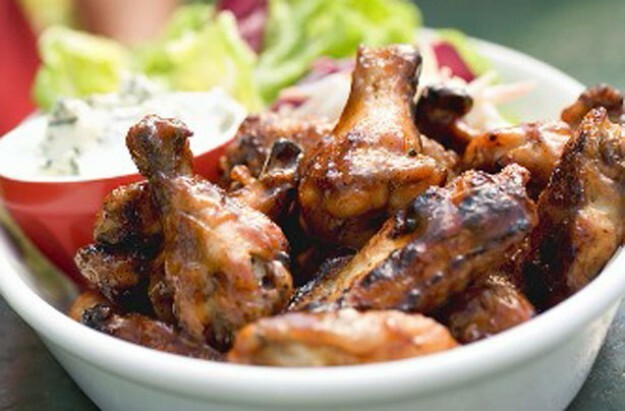 At number 5 of Britain’s happiest foods is the good old BBQ. Often a rare appearance what with our unpredictable weather and all that, when the BBQ is out – it’s OUT. The extended family are over, your dining room table has been dragged out into the garden, there’s a mini paddling pool, inflatable toys and you’ve got tons of meat steaming away on the grill. Big smiles all round we’d say! Another summer favourite when the sun decides to make an appearance, strawberries and cream. 30% of Brits in the study said strawberries and cream made them happy – really happy, and we know why. Sweet and simple, this match made in heaven just makes you melt and relax no matter how bad your day has been. It can turn the toughest nut into a big ball of goo. Walking along Brighton peer, getting attacked by seagulls in Swanage or just crowded around the TV watching Britain’s Got Talent, you can’t beat traditional fish and chips. We’re talking golden battered cod and vinegar drizzled chips. We’re talking mushy peas and chip shop curry sauce. Oh, now we’ve got fish and chips on the brain! Roast dinner has to be one of the most popular family meals going. All gathered around the table on a Sunday aftenoon plates piled high with Yorkshire puds, roast potatoes, carrots, peas, roast chicken… You name it. We’ve got a big smile on our faces just thinking about roast dinner – let alone eating it! You scream, I scream, we all scream for ice cream – yes, you guessed it, the number one food that makes us Brits happier than ever is, ice cream! 33% of Brits said ice cream reminded them most of childhood memories. Everyone of us can remember running after the ice cream man with pennies in hand, ready to buy our 99 with a flake of course. Or what about ice cream oysters? Screwballs? 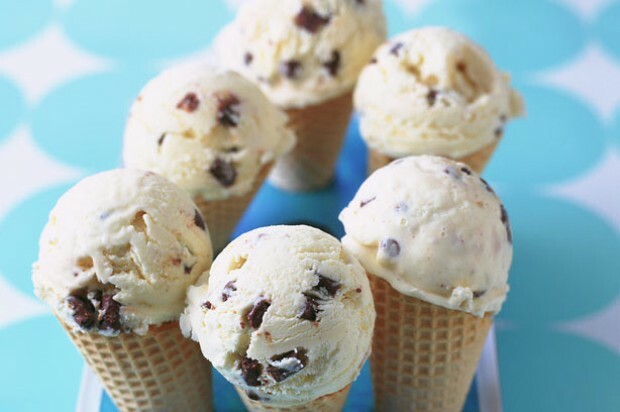 Or even just a big scoop of mint choc chip would make us one happy bunny. Yes, ice cream is the sure cure for the blues. Is YOUR favourite on Britain’s happiest food list? No? Well comment below to tell us your favourite and why it makes your happy!